One of my personal goals for this year was to make less excuses. Breakfast is my favourite meal of the day and I love eating out. I set myself the challenge to save money which means eating out less. Food prep doesn’t end at taking your own lunch to work. I often find myself leaving the house early in the morning and not returning until late so taking both breakfast and lunch has been a god sent! 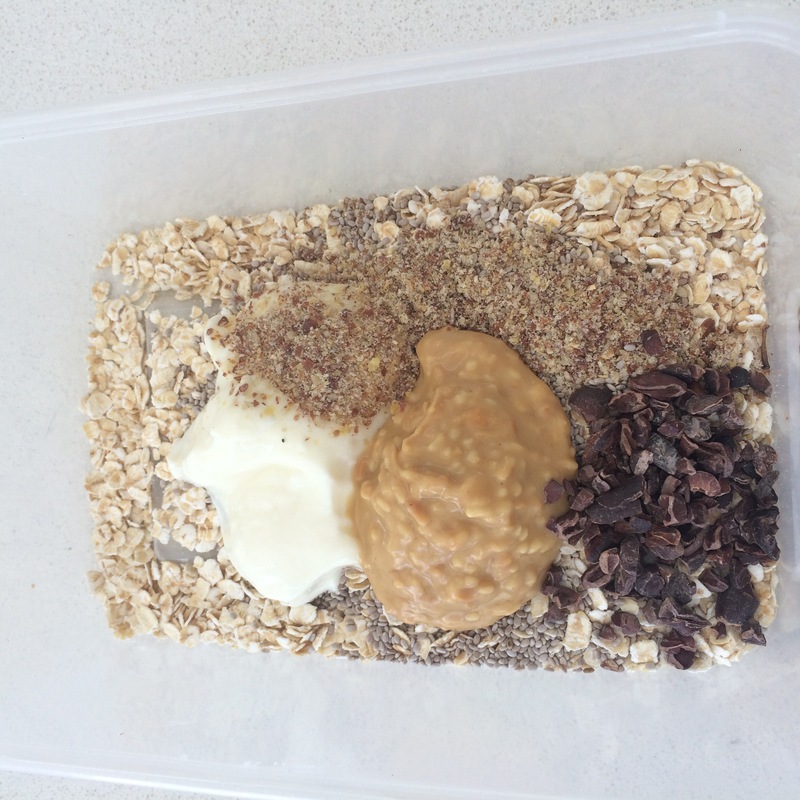 Overnight Bircher Muesli has become a ritual for me as you can prepare it easily for a whole week. Fruit (banana, berries, kiwi) – mix in before serving. 1. It is as simple as mixing all of the ingredients together. 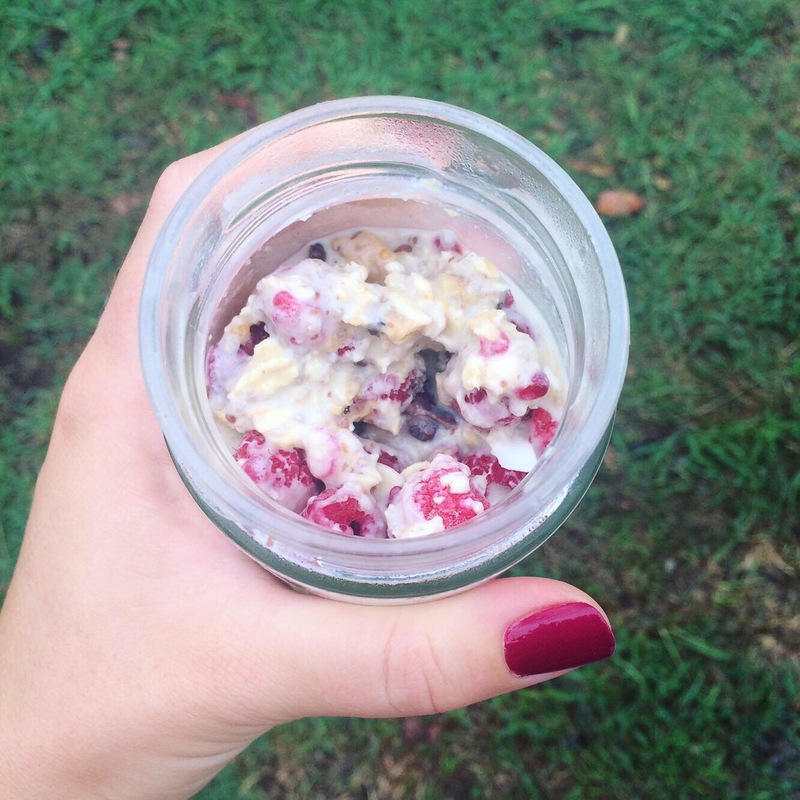 I make my Bircher individually in recycled jars. These are easily stored and don’t take up much room in the fridge. I add frozen fruit to my Bircher in the morning before I leave the house which keeps it cool until I eat it 1-2 hours later.